The Panasonic KX-TGH224 is a stylish cordless phone with a great design, lots of useful features, and outstanding sound quality. You can answer your calls remotely using the elegant C565 headset, which comes with a headset holder and desk charger. The KX-TGH224 handset has an in-built loudspeaker for convenient hands-free conversations, or you can use the C565 headset, both of which offer crystal-clear sound quality, and up to 14 and 9 hours of talk-time respectively. 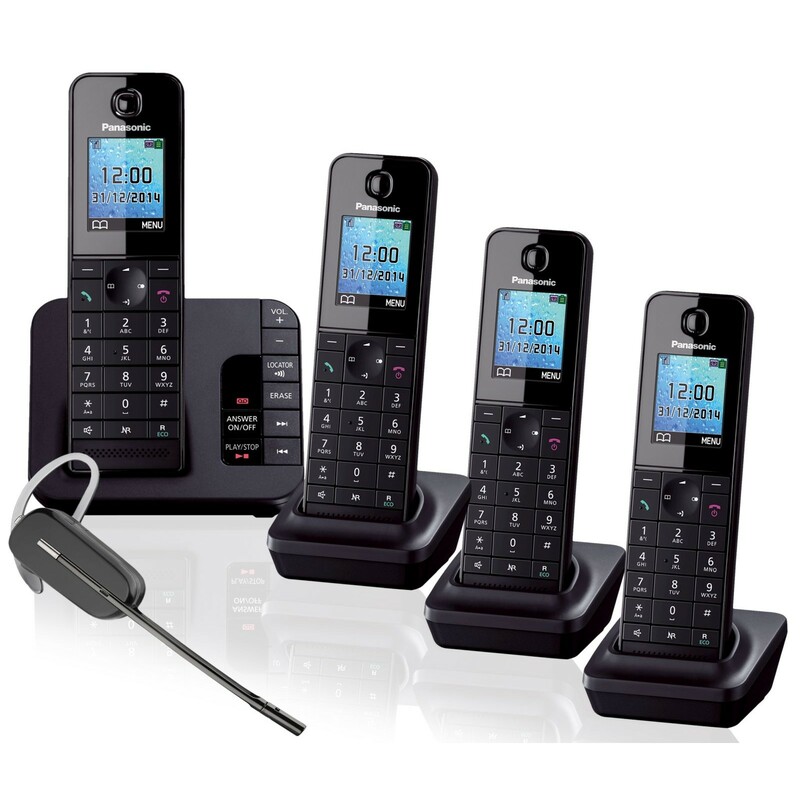 Why should you buy this cordless phone and headset? This phone offers smart call management with the option for nuisance call blocking, noise reduction technology, and in-built answering machine.